Colombia’s border city Cucuta has become the center stage of a power struggle between Venezuelan President Nicolas Maduro and the country’s opposition that is supported by Colombia and the United States. 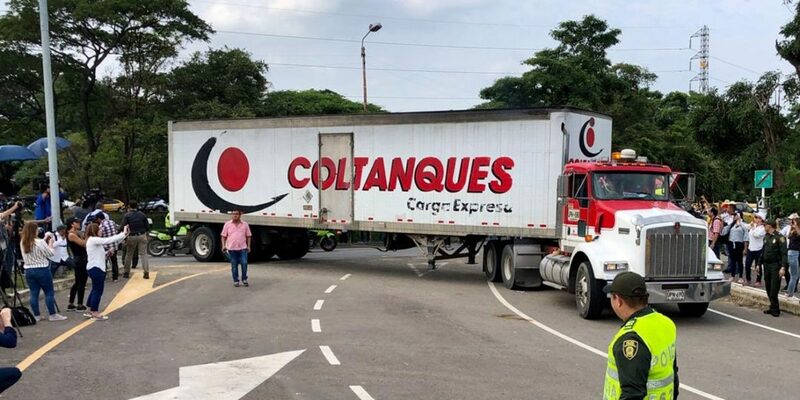 Trucks carrying humanitarian aid from the US arrived in Cucuta on Thursday, one day after the Venezuelan military blocked the road that would allow this aid to cross the border. Droves of reporters have also arrived the border city where US and Colombian officials on Friday are expected to hold a press conference together with political allies of Juan Guaido, the president of Venezuela’s National Assembly who declared himself interim president last month with the support of Bogota and Washington DC. Maduro, who continues to enjoy the support of the country’s supreme court and the military, has claimed that the humanitarian aid is parts of a “coup” orchestrated by his opponents in the National Assembly and abroad. 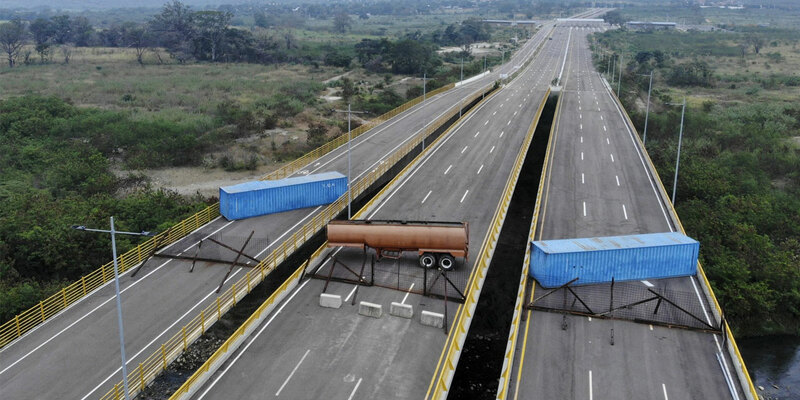 Meanwhile, thousands of desperate Venezuelans enter Colombia each day looking for food and medicine that have become increasingly scarce in the neighboring country. But humanitarian aid for Venezuelans on the Colombian side of the border is virtually non-existent as the international community has reportedly failed to contribute relief funds. The United Nations has called on the international community to donate as much as $738 million to help Venezuelans outside their country’s borders, but has received only $5 million, according to Al Jazeera. The Colombian government has said that the US aid will only be delivered to Venezuelans on their side of the border. To what point can the situation escalate? US President Donald Trump has consistently said that all options, including military intervention, are on the table. Maduro has consistently said that any possible US intervention would be met with resistance from the Venezuelan military and has threatened to attack Colombia if US soldiers cross the border. Colombia’s defense minister has said that no US troops are in Colombia at the moment and there have been no reliable indications that the US has been moving forces to its staunchest ally in South America. Other countries in the region have rejected the possibility of any military intervention and have called for a negotiated solution to the worsening crisis in Venezuela.